This class will introduce your explorer to sights, sounds and textures by putting their developing fine motor skills to use. All while you and your explorer socialise with other babies and get to know other parents, helping your explorer build confidence and inspire a life of movement! This class builds on the principles of movement and skills learnt in Baby Explorers. Your little baby will build self-confidence by interacting with other Wallabies and will explore core movement patterns, with parental guidance and help. This class promotes body awareness and vital movement skills. This class introduces the progression of core movement patterns and early gymnastic skills. We teach toddlers to understand spatial awareness and develop movement control with your assistance. Within this class we also introduce a variety of fitness activities and incorporate basic coordination, strength and teamwork skills. This class aids in school readiness, through the refinement of essential movement. This class advances your star and gives them their first taste of our primary stars class and our speciality classes. We focus on early gymnastics, dance, bootcamp and ninja warrior. We teach our pre-school stars to understand the importance of movement and give them the fundamental knowledge of exercise. Within this class we also introduce a variety of higher level fitness activities for their age and incorporate coordination, strength and teamwork skills. This class aids in school readiness, through the refinement of essential movement. Dingo Pups Gymnastics, Martial Arts, Yoga, Ninja Warrior, Dance, Cheer may also be offered. Please see your local club for details! This class introduces a more comprehensive set of motor skills, and teaches the importance of movement while making physical activity fun in everyday life. Primary Stars teaches competency in basic fitness activities. We will work on improving your dingoes co-ordination, strength and teamwork skills while introducing speed, endurance and agility. This class is where the passion for movement and exercise begins. 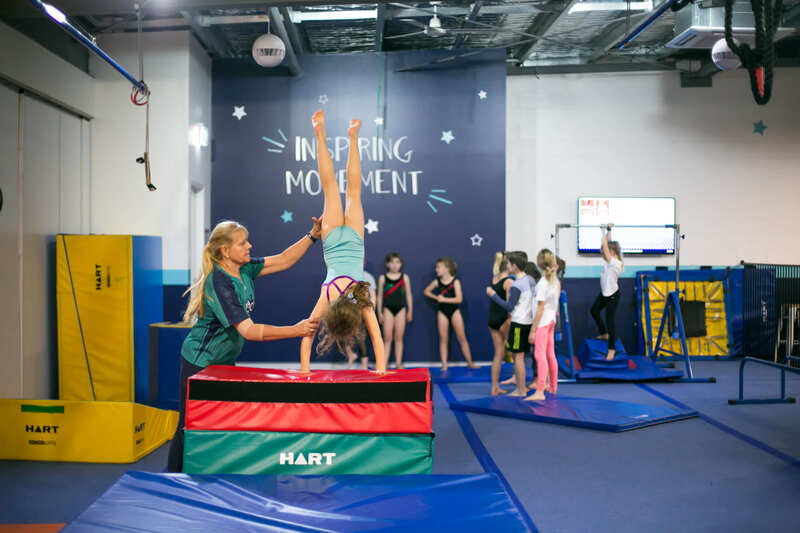 Racing Roos will develop movement skills and functional training modalities by introducing fundamental fitness learnings that your star can take with them into everyday life. We facilitate team-based games and activities to introduce goal oriented activities. This class encourages the enjoyment of the workout experience. This class is designed to continue to develop your young athlete’s fitness levels and encourage teamwork. We will work to strengthen your child’s heart, lung, muscles and bones through appropriate physical activity. This class ensures our pre-teens enjoy the workout experience and learn to push themselves to the next level and master the tasks they participate in. 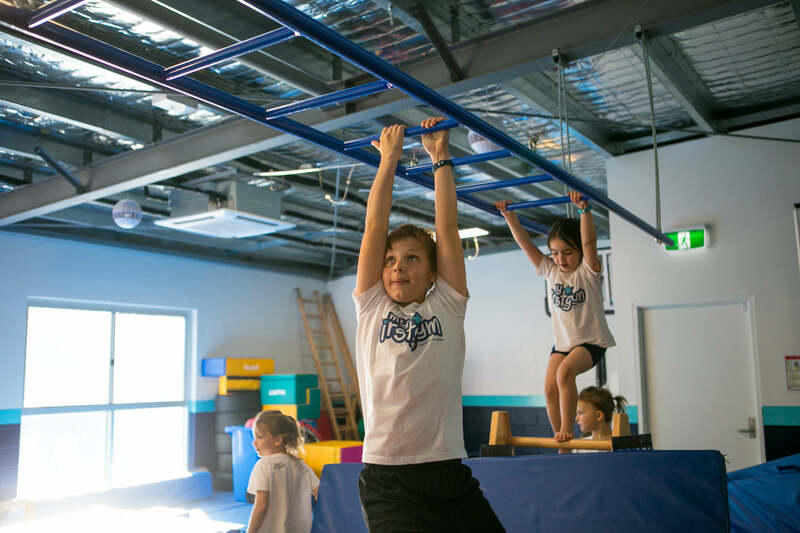 MyFirstGym is super excited to be the first destination for kids Parkour in New Zealand! We have partnered with the Parkour Association to give your child the opportunity to learn from leading instructors who are taking Parkour to the next level. 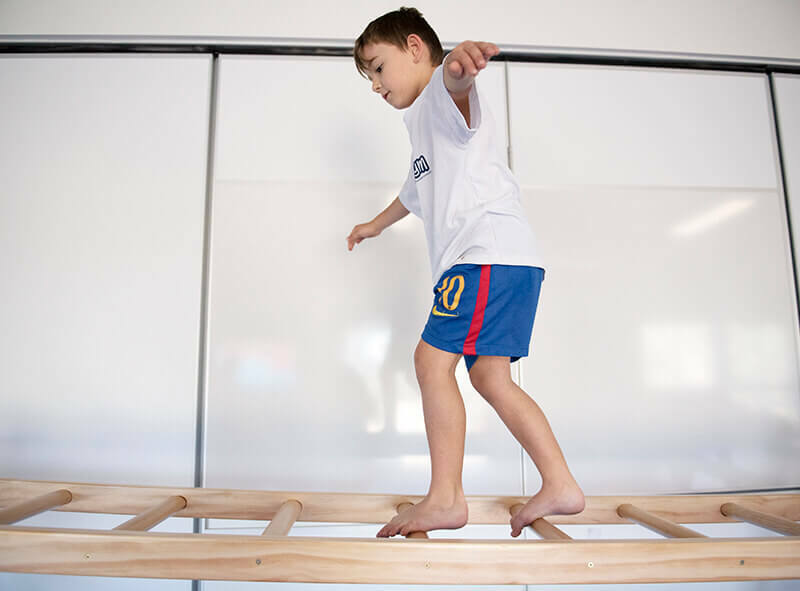 MyFirstParkour has been designed to develop your child’s strength, coordination and problem solving ability while leaping, jumping and climbing through our specially designed Parkour course. Our children’s yoga program introduces the fundamentals of a yoga and children’s mind/body awareness, in a fun and engaging way. Your child will gain confidence as they learn yoga terminology, basic stretching techniques and body strengthening exercises. They are also given the chance to move to music. This class aims to develop an early love of yoga and physical movement. Our sports program empowers children as they learn the rules and fundamentals of various sports. Your child will build confidence as they develop skills such as passing, catching, hitting, kicking, jumping, throwing, etc. while learning to play soccer, basketball, hockey, judo, touch footy and more. With a four-week focus for each sport, this class includes exercise and fitness training, basic rules and definitions, court or field layout, skill drills and analytics specific to each sport. On the fourth week of each sport, your child will be ready to play a friendly game – “MyFirstGym rules” of course! You will notice physical developments in your child as they associate with the basics of the sport and utilize the skills in preparation for their chosen game. We break down the steps, add games, activities and learn full and fun dance routines. These classes are designed to help develop a healthy lifestyle and incorporate fun fitness as a natural part of children’s lives! Classes incorporate key childhood development elements like leadership, respect, team work, confidence, self-esteem, memory, creativity and coordination. Our gymnastics classes are designed to get children to move using the basic principles of gymnastics. This class aims to give children more control over their bodies and focus on demonstrating the correct technique to develop control and relative body strength. Our Martial Arts program is based on Brazillian Jiu-Jitsu (BJJ). BJJ is a martial art and a combat sport focused on the idea of controlling an opponent, using leverage and technique. 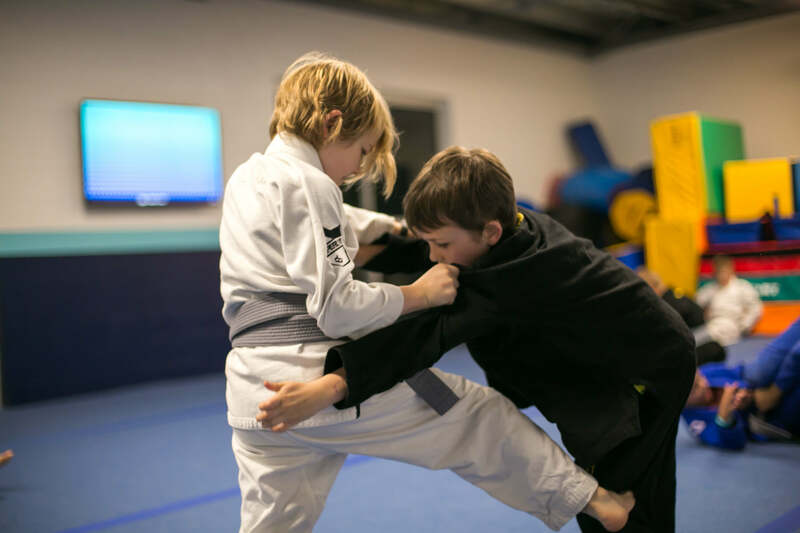 Our goal is to teach your kids how to defend themselves against stronger and larger adversaries, instilling in them confidence, discipline and self-control. A kids first taste of a true workout – this class will get your little ones working to their potential, using similar exercises to adults training to give kids the true boot-camp experience. This action-packed training program offers an obstacle course to bring out the ‘Ninja Warrior’ in your child. Our trainers will help to create the foundations for success in your children’s future athletic endeavours. This class will get your little ones working to their athletic capabilities, using similar exercises that you would find on your favourite television show. We focus on building strength, cardio endurance, confidence and athletic skills, for your child to become a true ‘Ninja Warrior’. The highly anticipated MyFirstCheer will teach your children all the exciting elements of cheer! They’ll learn cheerleading lifts, jumps, tumbling and cheer dance. Get ready for this high intensity, active workout that will culminate in a cheerleading demonstration at the end of each term.